Most if us don’t think twice about investing in college or saving money for our children’s education. 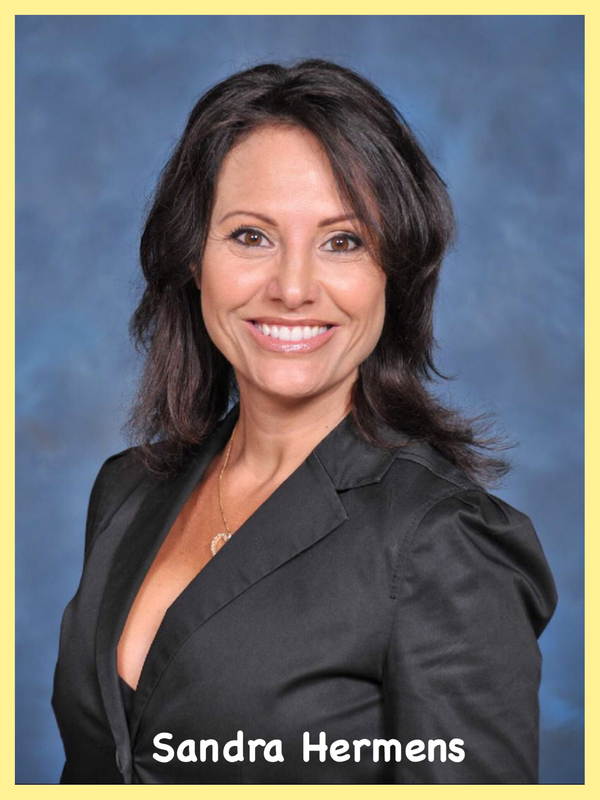 The idea of paying for a college degree is typically viewed as a pretty solid investment in your future. Over the course of four years, many college students will spend in excess of $30,000 in hopes that their post college endeavors will afford them a nice lifestyle. The sad truth is that many college graduates are hitting a brick wall and left with thousands of dollars in debt. The odds of seeing a visible return on investment (ROI) within the first five years of graduating college is the same as winning the lottery. The same goes for a 401K, IRA and holds true for majority of other investments. The goods news for the face and body art community, is that by investing in ourselves and our business, we do not have to wait long to see the benefits of our investment. New painters walk into Silly Farm and start off with a simple kit including paint, brushes and a few other basic items. They typically spend about $300. 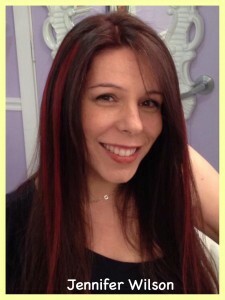 It is rare to find an industry where you can invest $300 in a product, and pay it off with one or two jobs. The ROI for Facepainters is tremendous and for this we can truly be grateful. 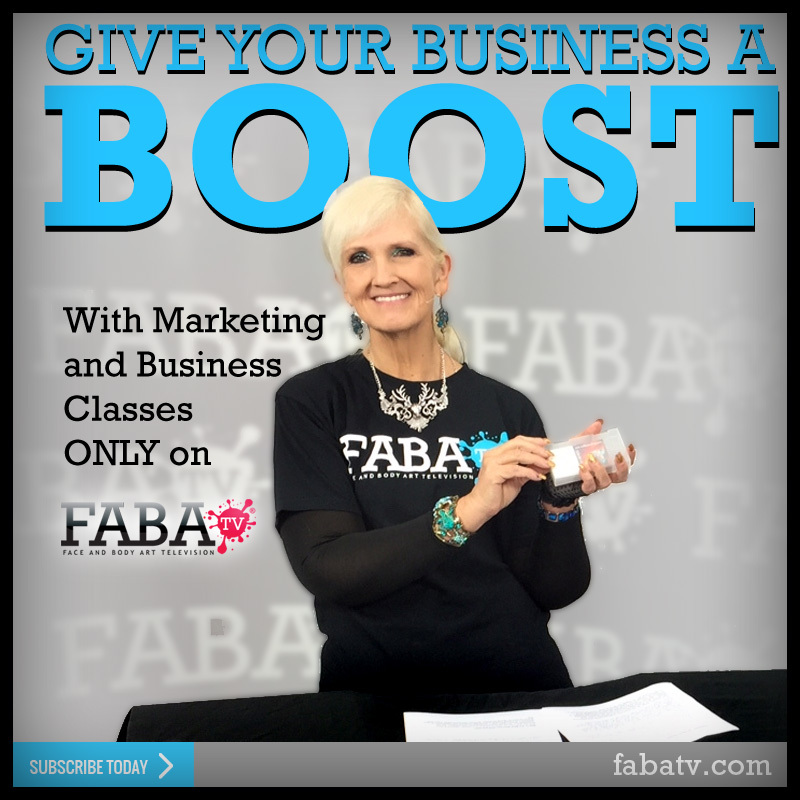 The board of FABAIC takes pride in offering a marketing track designed to teach you more so you can earn more. 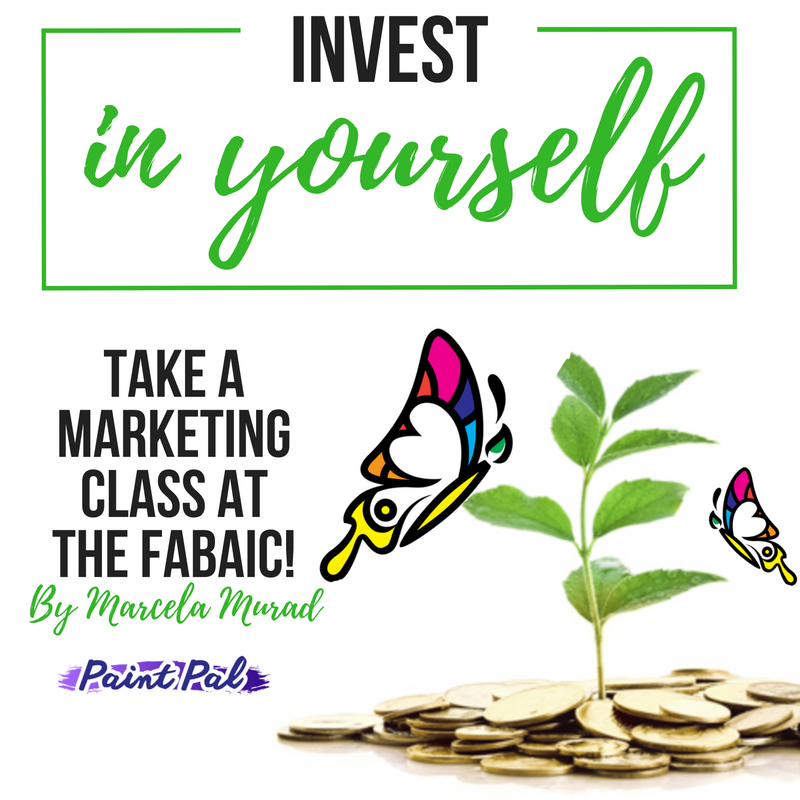 From marketing techniques like using Social Media and advertising your services, to important networking, money management, presentation, working with agents and other critical subjects- we believe at FABAIC that learning marketing skills is just as important to your success as learning how to face and body paint. 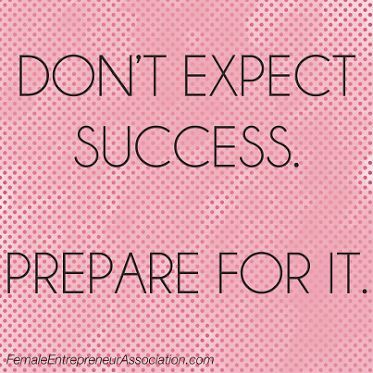 For this reason, each year we gather the most successful entrepreneurs in the business to share the secret of their success. 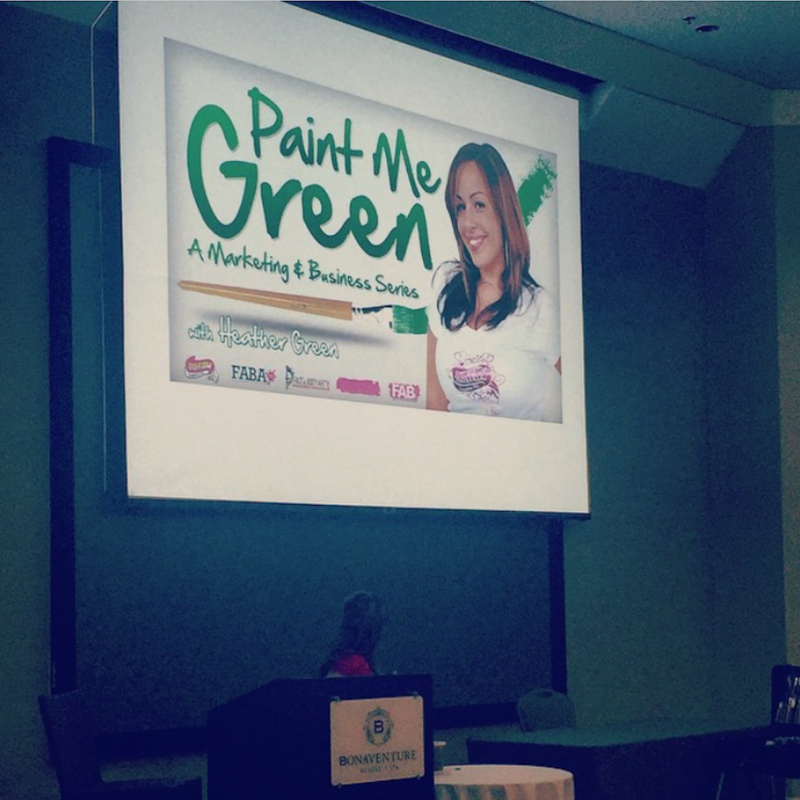 Besides our own marketing guru Heather Green, a few of the instructors that have honored us in the past are Katie Hunt, Marianne Bartley, Lori Hurley, Patrick Slaughter, Karen Sawyer, Jennifer Wilson and Sandra Hermens to name a few. By investing in the Face and Body Art International Convention you will not only see a significant increase in your face and body art capabilities, but by taking the business marketing classes you can and you will see financial growth right away. Investing in yourself and your business is like watering your plants- With the right amount of water and sunshine you are sure to bloom an entire garden. 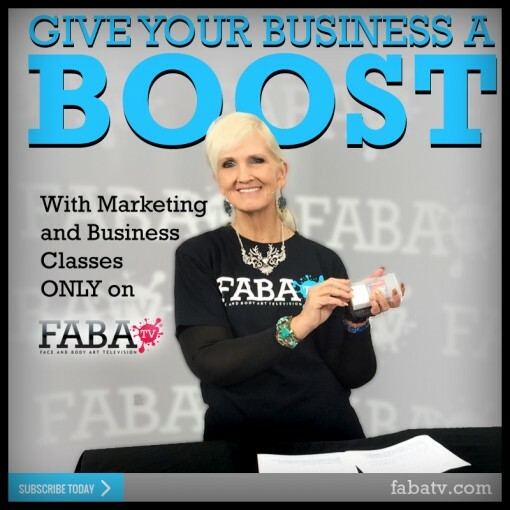 Get a head start on your marketing classes with our awesome selection of business classes on FABATv.com! On a final note, in the past, painters have brought spouses, family members, or business partners who were not interested in the artistic part of the business- but were interested in the marketing track and learning to sell the skills that the painters were concentrating on learning and improving. This makes for a win-win situation and something to consider. Happy painting and looking forward to seeing you all in 2017!